The confirmation hearing for Andrew Puzder, Trump’s choice for Labor secretary, is scheduled for Feb. 2. While I’m sure the CKE Restaurant chief exec would prefer to answer questions like how much bacon he likes on his Double Bacon 3-way Burger™, here are a few of our suggestions for his confirmation hearings to suss out his vision for the workers of America. Is the desire to avoid spreading the plague a good enough reason to stay home? What do you do when you get sick and are supposed to go to work? Many employees at fast-food chains like the ones Puzder owns receive no paid sick leave. Missing a day of work for them, and for more than 40 million Americans, can mean the difference between buying groceries or going hungry. The Healthy Families Act would guarantee that workers can earn paid sick days to care for themselves and their families. As Labor Secretary, will Puzder support paid sick days? If not, what should employees at restaurants who work with food do when they have the flu? Will our new restaurant catchphrase be, “Would you like a side of the plague with that?” Or can consumers pay extra for fries that no one has sneezed or coughed on? Will you replace American employees with robots? Only 14 percent of Americans have any paid family leave from their employer, meaning we’re forced to make impossible decisions on a daily basis. Babies are born or adopted every day, while family members, from small children to elderly parents, get sick and need support at times. 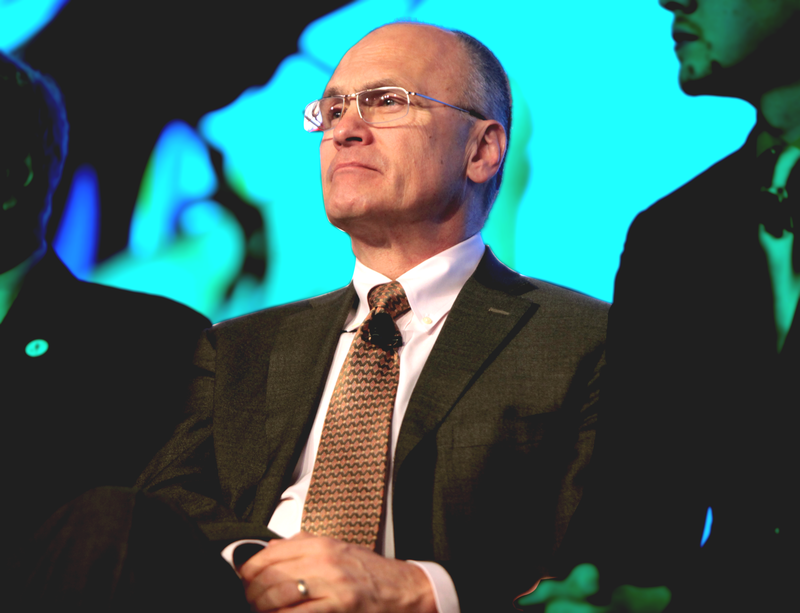 While progressive organizations have pushed legislators to catch up with reality (and the rest of the industrialized world) and pass paid family and medical leave laws nationwide, Puzder has talked about making workplaces automated to eliminate the inconveniences caused by human employees. Meanwhile, Donald Trump has only suggested paid leave for new mothers, and only ones who give birth. Should men stop caring for their children? Should LGBTQ couples stop adopting? Should new parents just get a dog to watch the kids while they’re at work? Or will Puzder encourage employers to replace workers with robots? That is, until robots figure out how to have kids. Can women of color stop paying full price for goods and services? Today, more women are the main breadwinners for their families than ever before. Many families rely on two incomes, and still barely make ends meet. With so many Americans living paycheck to paycheck, equal pay for equal work could mean saving for a home, retiring with dignity or sending your kids to college. But according to data from the U.S. Census, Latina women are paid 54 cents for every dollar earned by a white man, while Black women are paid 63 cents. White and Asian women bring the average up to 80 cents. As Secretary of Labor, what would Puzder do to ensure that women are paid equally for equal work so they can support their families, pay rent, buy groceries and send their kids to school? Many people don’t even realize when they’re being shortchanged; 60 percent of private-sector employees work in an environment that formally prohibits or discourages discussing salary information. Will Puzder make wage transparency and equality a priority? Or can women just subtract their pay difference from their bill at the drugstore? Under your leadership, will all Americans earn 300 times the federal minimum wage? The typical American family earns just above $50,000 a year, and hasn’t received a significant raise in quite some time. Earnings have been stagnant, while, thanks to inflation, purchasing power has declined. Despite that, Puzder has managed to earn about $10 million a year — nearly 300 times the federal minimum wage, which is 300 times more than the nearly 60 percent of fast-food workers like the ones he employs who make the federal minimum wage. It’s hard to imagine how someone with so much wealth and privilege could possibly relate to the tens of millions of American families who worry that if their children get the flu they’ll lose their jobs, who sometimes choose between groceries and rent, and who scrape by on unfair wages due to unequal pay. But if Puzder has a plan to make sure every family gets to enjoy millions of dollars in earnings a year just like he does, we’d sure love to hear it. Make it Work fights for economic security for women, men and families across the country. It’s time that all of us are able to make it work.